A wonderful way to learn new stitches you'll use over and over. 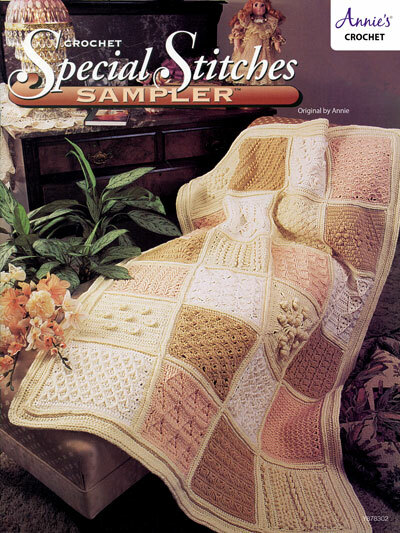 Stitch a square using each of these 24 stitches to create a sampler afghan. 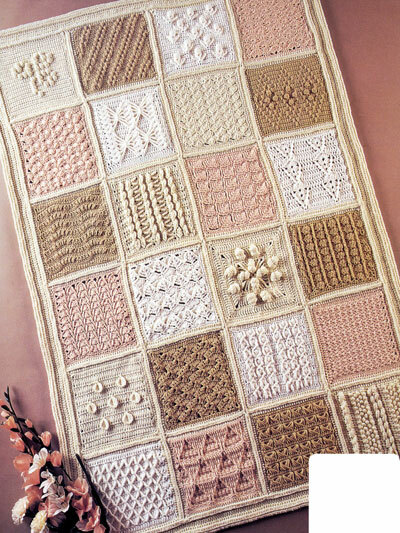 You will use these stitches over and over to make afghans, baby blankets place mats and countless other projects! Finished Size: 41"W x 60"L.